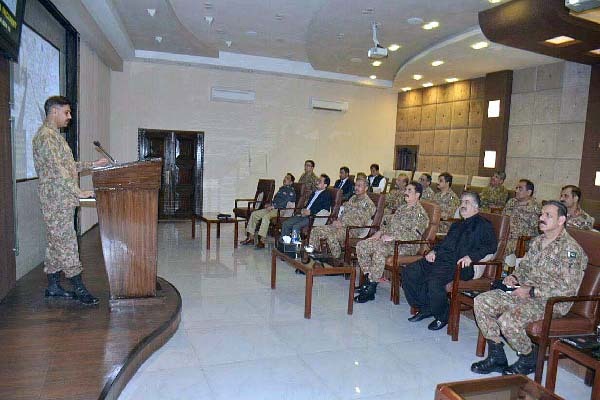 RAWALPINDI, Aug 8 (APP): Chief of Army Staff (COAS) General Raheel Sharif on Monday chaired security meeting in Quetta and ordered to start special combing operations in Balochistan. According to Tweet message by Director General ISPR Lt Gen Asim Saleem Bajwa, Chief Minister and Chief Secretary Balochistan, besides Commander Southern Command were present in the meeting. The COAS said having been defeated in Khyber Pakhtunkhwa, terrorists were shifting focus to Balochistan. He termed the blast an attempt to undermine improved security in the province, specially targeting the China Pakistan Economic Corridor (CPEC). The COAS ordered to carry out Special Combing Operation in the province. Intelligence agencies could go anywhere in the country to target anyone linked with these terror acts, the Tweet added.